Should Amazon Snap Up Struggling Snapchat? How Snap went from golden child to sinking sister is one of the abiding mysteries of the digital-media industry. But its combustible mix of promising technology, teen adoration, “olds” mystification, management missteps, and stockholder disaffection has sent share prices to all-time lows and speculation about the company’s future to all-time highs. 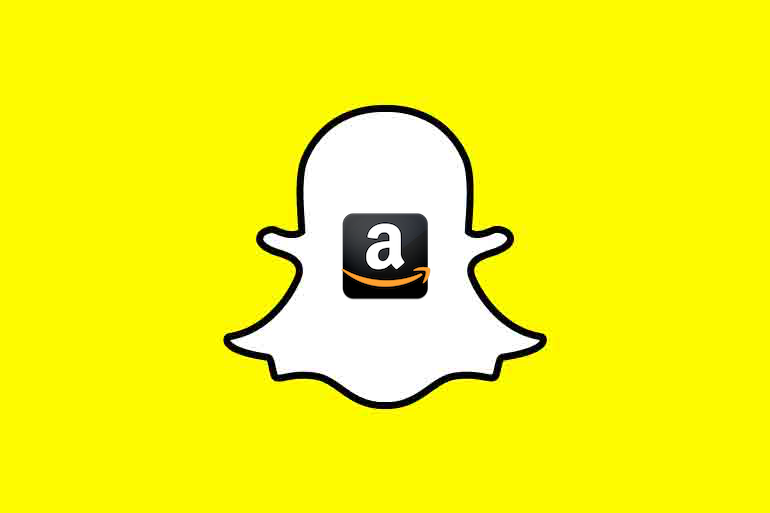 Early last week, Snap announced a notable partnership with Amazon: Point your app at a product or bar code, and Amazon will serve up information on the Snapchat screen. It’s easy to imagine the promising directions this could take: in-app purchases through Amazon, with affiliate-marketing fees for Snap and creators; new kinds of branded and sponsorship deals; augmented-/virtual-reality shopping malls. Snap also rolled out three other shoppable-ad features last week. But Snap’s shares kept flagging after the announcement, dropping to a miserable $8.41 per share by Friday morning (it closed at $8.48). That’s down about two-thirds from the halcyon day when Snap went public in March 2017, jumping above $26 a share as the young company hit a valuation of $33 billion. Now Wall Street values the company at less than $11 billion. And that was enough to set the speculation flying about Snap’s future. That means Snap needs to get bought out, Galloway said, and there aren’t many obvious candidates. Even if Snap’s share price keeps drooping, he calculated that it’ll still cost an acquirer $8 billion to $10 billion. Of course, investors haven’t been happy with Snap since its August earnings announcement, where it reported that its average daily users metric (a big thing on Wall Street) had dropped for the first time, by a notable 2%, to 188 million. Twitter and Facebook, who had spent the summer stamping out tens of millions of fake users, also saw their shares get beaten up recently on news that their growth wasn’t proceeding apace either. But only Los Angeles-based Snap has New York professors planning its exit strategy. Meanwhile there are others who think the company presents serious opportunities for those trying to reach its ardent young fans. But the kids these days still use it. Thrillist has launched a Snapchat Discover channel, focused on travel because it’s ” a white space” where Thrillist can build a following with relatively little competition, MacAdams said. But expect the company to expand soon enough on Snapchat into its other areas of focus, including food, drink and entertainment. “Ultimately, it’ll be the full offering of Thrillist,” MacAdams said. Snap has had other recent good news. Studies from the Pew Research Center and others keep showing that teens and young adults love Snapchat more than about anything except perhaps YouTube, and sometimes, Instagram. Not many of them care about Facebook at all. In August, Snap picked up a big backer in influential media investor Prince Alwaleed bin Talal, who invested $250 million, a 2.3%. And ad revenues still look to be growing, eMarketer projected recently, from $662 million this year to $1.2 billion by 2020 (though, admittedly, that involved a significant drop in short-term revenues because of its shift to programmatic automated ad-buying). We even have Evan Spiegel, the secretive 28-year-old co-founder and CEO of Snap, finally making some grown-up moves, including shifting the company to more centralized offices by the Santa Monica Airport (the company’s operations had been sprinkled all over nearby Venice) and hiring a management coach. Maybe moves like this will help the company run better and smarter. At least that’s the hope. Will Jeff Bezos be Snapchat’s savior? A sale to Amazon would make a lot of sense. Amazon would totally be able to use Snap to sell oodles of products to those young fans. But man, I’d hate to see it happen (and not just because of the experience of the WhatsApp and Instagram founders with Facebook, but wow, Brian Acton did leave $850 million behind when he stomped off last year). Snapchat is a weird, cool, ground-breaking attempt to connect people online in very different ways than have been done before, using technology that wasn’t anywhere near as fun or interesting or accessible from anyone else. The tech was so good that hapless Facebook CEO Mark Zuckerberg decided his best response was to copy it mercilessly, all while ignoring Russian election manipulation of his own sites as he preached the gospel of connecting even Holocaust deniers. Spiegel hasn’t been a very effective manager. But wouldn’t it be great if his company could survive (with or without him)? Then Snap would still have a chance to do all the weird, cool things in the future that its DNA suggests are still possible, instead of becoming just another marketing tool glued like a remora to the side of a digital whale.